In November I got a super exciting email telling me about a bloggers event that Walker Books Undercover were holding & they asked if I would like to attend. I didn't even have to think about it - they got a great big YES PLEASE!!! 10th December comes and its the day of the presentation - I don't know why but I was feeling super nervous for this one. Once again my Mum tagged along for the journey with me, making my attendance possible. We left with plenty of time and yet I managed to be slightly late - I don't know how??! I arrived to this gorgeous little pub, but it looked rather deserted. I saw some guys through the window though and they opened the door, stony silent. I asked if the bloggers thing was there and he just kind of pointed in the direction of the bar. I nervously walked up still unsure of where I was and told to go up some creaky stairs. This actually led to the most adorable attic room, with fabulous mis-matched chairs and tables giving this amazing antique look - just the sort of place bookish events should take place. I sat down as quietly as I could, but still managed to interrupt the presentation slightly to everyone at Walker I'M SORRY!! There were these stunning old fashioned styled tea pots on the tables with cute little tea cups and saucers. Even the tea was proper tea leaves and not the tea bag style that I am so used too. You have to use these cute little strainers to pour your tea. Well me being as nervous as I was managed to not only get a it of tea in the cup, but also over the table. I couldn't believe what a fool I was making of myself and how badly I must have been coming across. Honestly I am normally much tidier!! "Boy, did Blink get off on the wrong floor. 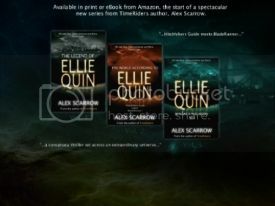 All he wanted was to steal some breakfast for his empty belly, but instead he stumbled upon a fake kidnapping and a mobile phone dropped by an "abducted" CEO, giving Blink a link to his perfect blonde daughter. Now Blink is on the run, but it'll be OK as long as he's smart enough to stay in the game and keep Captain Panic locked in his hold. Enter a girl named Caution. As in Caution: Watch Your Step. 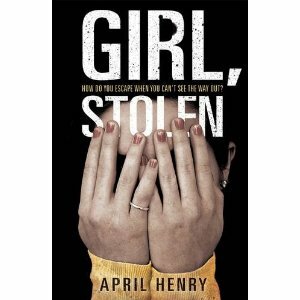 She's also on the run, from a drug-dealer boyfriend and from a nightmare in her past that won't let her go. When she spies Blink at the bus station, Caution can see he's an easy mark. But there's something about this naïve, skinny street punk, whom she only wanted to rob, that tugs at her heart, a heart she thought deserved not to feel. 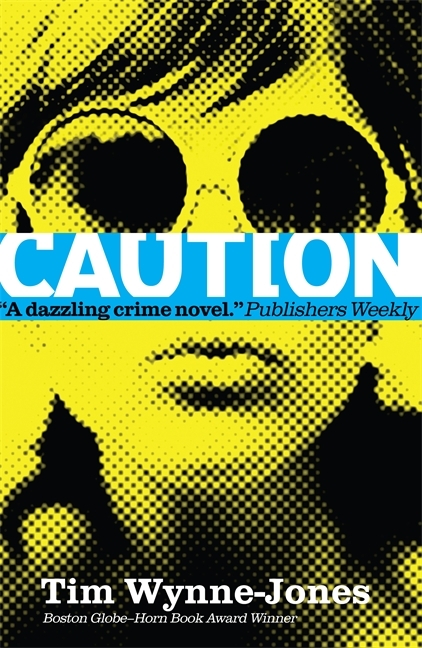 Charged with suspense and intrigue, this taut novel trails two deeply compelling characters as they forge a blackmail scheme that is foolhardy at best, disastrous at worst - along with a fated, tender partnership that will offer them each a rare chance for redemption." We were all given copies of this one. Its not the kind of book I would typically go and pick, so am interested to see what I think of it. "When Daniel Lever is dragged to Leisure World Holiday Complex for some "time away" with his depressed dad, his expectations are low. Daniel is overweight, he hates sport, and his father has brought along his beloved tomato plant. But soon Daniel spots a girl swimming in the fake lake. Lexi is elegant and smart, but very mysterious. Why are her bruises getting worse each time she and Daniel meet? And is her watch really ticking backwards? A dark figure stalks the pair, and as British summer time approaches, Daniel has to act quickly. Their souls depend on it." This one I am super excited to start. I love the idea of it being set in a leisure park - definitely not the place you would expect to find ghostly going ons!! "Sixteen year-old Cheyenne Wilder is sleeping in the back of a car while her mom fills her prescription at the pharmacy. Before Cheyenne realizes what's happening, their car is being stolen--with her inside! 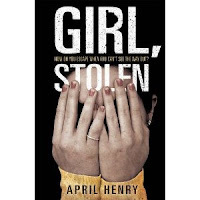 Griffin hadn’t meant to kidnap Cheyenne, all he needed to do was steal a car for the others. But once Griffin's dad finds out that Cheyenne’s father is the president of a powerful corporation, everything changes—now there’s a reason to keep her. What Griffin doesn’t know is that Cheyenne is not only sick with pneumonia, she is blind. How will Cheyenne survive this nightmare, and if she does, at what price?" 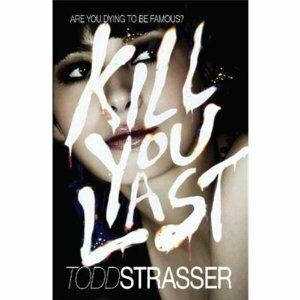 "Are you dying to be famous...? It seems that every girl in Soundview wants to be a model, singer or actress. They all need super-glam photos for agents and scouts - which works out perfectly for Shelby's photographer dad. He makes a fortune taking pictures of these wannabes ... until the girls start to disappear and he is accused of murder. Shelby knows her dad is innocent and is determined to prove it, and that means finding the real killer." "Eddie Savage is hiding out in the West Midlands after his near-fatal shooting during the Kelly affair. But while the physical wounds are fading, the emotional scars are taking longer to heal. 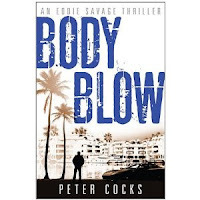 And when Eddie finds himself heading for the south of Spain with an unlikely travelling companion, it is as if, by some magnetic force, he is being drawn back into the criminal underworld. Tommy Kelly may be safely locked up back at home, but on the Costa del Sol the Kelly organization is still alive. And kicking"
It was at this event I found out about these books. The first one is actually set all around where I live (which isn't actually very comforting) Sounds very thrilling! "They’ve spent years at the same high school without speaking a word to one another, but that’s all about to change. Popular Bliss was having the perfect prom until she found her BFF and boyfriend making out in the back of a limo. Bad girl Jolene wouldn’t be caught dead at the prom, yet here she is, trussed up in pink ruffles, risking her reputation for some guy - some guy who is forty minutes late. And shy, studious, über-planner Meg never counted on her date’s standing her up and leaving her idling in the parking lot outside the prom. Get ready for The Anti-Prom, Abby McDonald’s hilarious, heart-tugging tale about three girls and one unforgettable prom night"
The one sounds like a real teen rom dramedy. One I may just have to check out!! "Sixteen-year-old Sonia Ocampo was born on the night of the worst storm Tres Montes had ever seen. And when the winds mercifully stopped, an unshakable belief in the girl's protective powers began. All her life, Sonia has been asked to pray for sick mothers or missing sons, as worried parents and friends press silver milagros in her hands. Sonia knows she has no special powers, but how can she disappoint those who look to her for solace? Still, her conscience is heavy, so when she gets a chance to travel to the city and work in the home of a wealthy woman, she seizes it. At first, Sonia feels freedom in being treated like all the other girls. But when news arrives that her beloved brother has disappeared while looking for work, she learns to her sorrow that she can never truly leave the past or her family behind. With deeply realized characters, a keen sense of place, a hint of magical realism, and a flush of young romance, Meg Medina tells the tale of a strongwilled, warmhearted girl who dares to face life's harsh truths as she finds her real power"
"Frost is cursed - possessed by a wolf demon that brings death everywhere she goes. Desperate to find a cure, she flees her home, only to be captured by the Ruan Hill Guard. Trapped until she can prove she is not an enemy, Frost grows increasingly close to the Guard’s charismatic leader Luca and his second in command, the tortured Arian. 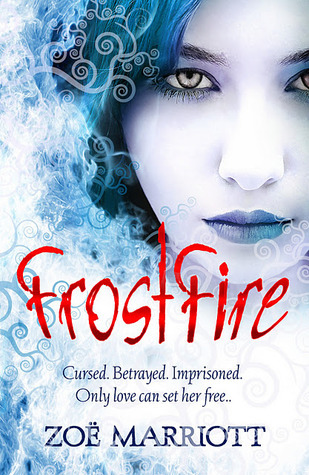 Torn between two very different men, Frost fears that she may not be able to protect either of them ... from herself"
I'm yet to read a book by Zoe, but have heard nothing but amazing things. This sounds like it will be no exception!! "When "slipped" angel Zachary and his werewolf pal, Kieren, arrive under suspicious circumstances to a mysterious New England boarding school, they quickly find themselves in a hellish lockdown with an intriguing assortment of secretive, hand-picked students. Plagued by demon dogs, hallucinatory wall décor, a sadistic instructor, and a legendary fire-breathing monster, will they somehow manage to escape? Or will the devil have his due? 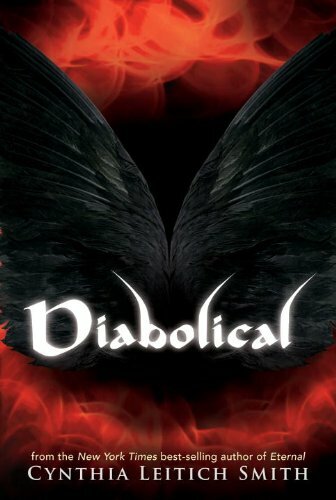 Best-selling author Cynthia Leitich Smith unites heroes from the previous three novels in the Tantalize Series - including Zachary's girl, Miranda, and Kieren's love, Quincie - along with a fascinating cast of all-new characters for a suspenseful, action-packed clash between the forces of heaven and hell." Fourth book in a series by Cynthia, where all the books are standalone but linked in certain ways. I need to catch up on the series!! Next up we got to hear from one of the guys behind the development of covers. 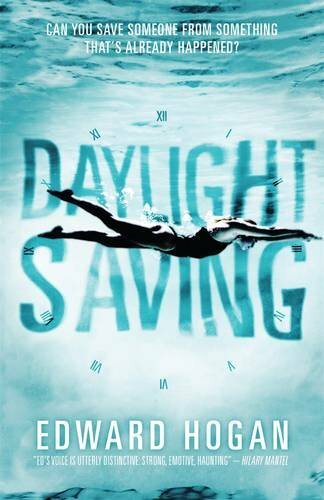 We learnt about the process for 'Daylight Saving' and all that goes into it. Seriously we have NO IDEA how hard they work on the finished product!!! Then we were introduced to Edward Hogan, author of Daylight Saving. We had a really long chat with him, again discussing where his idea came from to actually putting it on paper. We even discussed his input on the cover which was zero, so he liked being able to hear about it with us. Then sadly it was time for us all to go our separate ways. It was a truly wonderful event that I was honoured to attend. I cannot wait to read all of Walkers titles in 2012!! great submit, very informative. I'm wondering why the opposite specialists of this sector don't realize this. You must continue your writing. I am sure, you've a huge readers' base already! Sounds like you had a blast :) Im jealous lol.